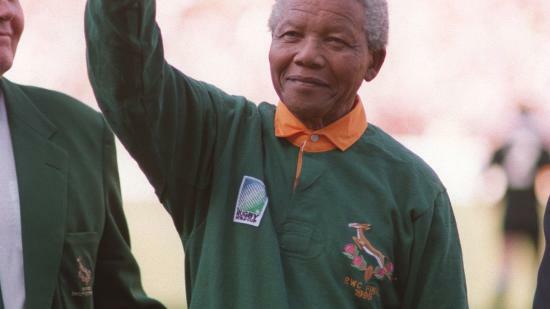 South Africa’s first black president Nelson Mandela may never have played rugby but his impact on the sport is immeasurable. 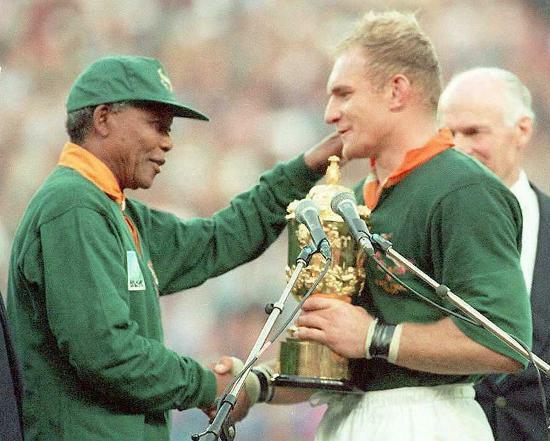 Mandela’s determination to put 27 years of captivity behind him and extend the hand of friendship to all South Africans, regardless of race, was no better symbolised than the moment he handed over the Webb Ellis Cup to the Rugby World Cup 1995-winning captain Francois Pienaar, wearing a Springbok jersey and cap. 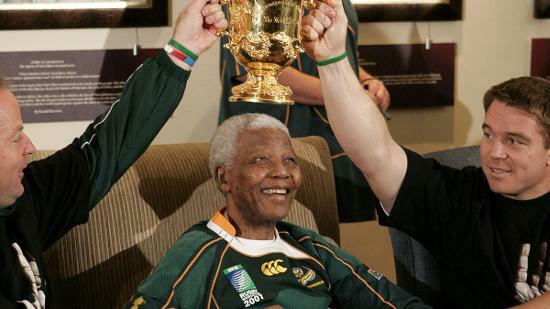 It was a moment later immortalised in film and summed up the unifying qualities that sport, especially rugby, has to offer. 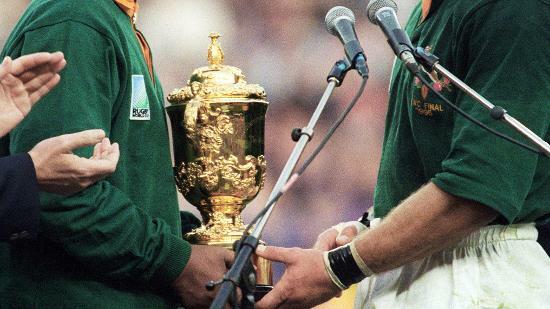 In the eyes of many South Africans the Springbok emblem was a hated symbol of the apartheid regime that Mandela worked so tirelessly to overthrow. With one selfless act he sent out a message to the world that the racial divide that previously existed between the ruling minority and the majority was a thing of the past.